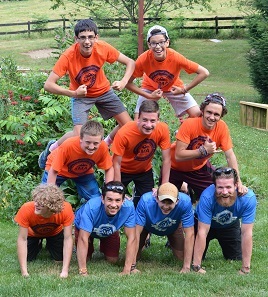 Stone Mountain Adventures (SMA) is a co-ed, overnight teenage summer camp located in the heart of Central Pennsylvania. Every day, we create opportunities for teenagers to challenge themselves: to ride a horse, to rock climb with good technique, to wakeboard or waterski, and most importantly of all, to develop lasting friendships. Building confidence is our goal; freedom to explore, positive reinforcement, and a superstar staff are our tools. Our staff is the backbone of camp and key to running a great program. 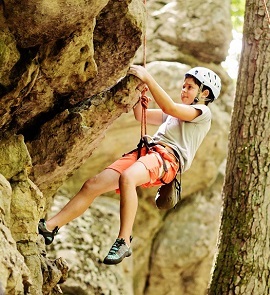 Why Families Choose Stone Mountain Adventures? 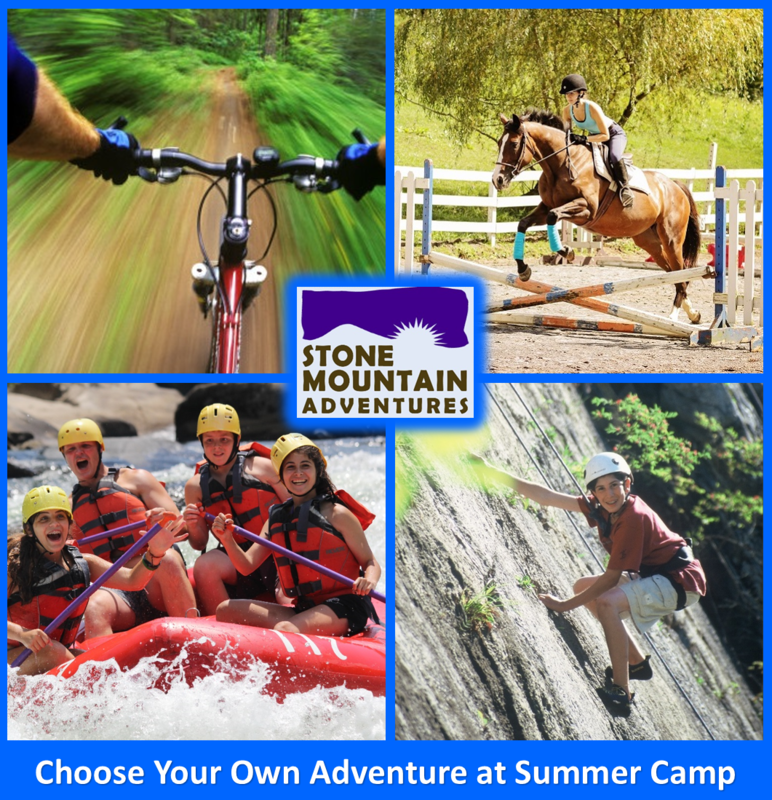 Now is the time to sign up for Stone Mountain Adventures Summer Camp! What Makes Stone Mountain Adventures Unique? Small size: we average only 60 campers per session, so there’s plenty of room to grow. When you’re here, you’re family! Culture of acceptance and curiosity makes it easy to be a first-time camper at SMA! 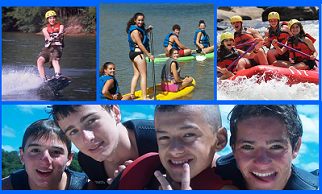 Here at Stone Mountain Adventures we create an atmosphere of freedom, fun, and personal challenge that is responsive to the pressures of the outside world but immersive enough to allow teens to find themselves and give them a summer to remember. The great outdoors is an incredibly effective antidote to the prospect of a summer spent in front of a screen, and we’re particularly inspired by our beautiful surroundings to provide teens with outdoor experiences that can energize, heal, and teach. It’s our passion to invite teens from across the country and around the world to come share their summers with us! Dear SMA Staff – We wanted to drop you a note and thank you. Julianne had an incredible experience at SMA this summer. This was her first time at an overnight camp and she was so nervous about making friends and fitting in. Your staff and the returning campers at SMA made her feel so welcome - the SMA camp experience could not have been better for her. Thanks for all that you do for kids! Dear Jud, Anne, Wyatt, Molly, Pam and Biff – Thank you for the very excellent camp experience you provided for Sam. I don't know how you make the magic that creates the unforgettable experience, but you do. Sam was not very excited about coming to SMA but it turns out that he had an incredible experience. 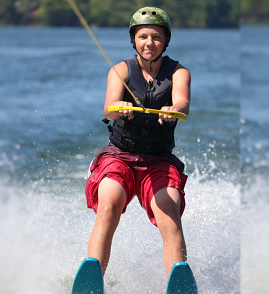 He loved wakeboarding and made so many friends. He is already counting the days until next summer! 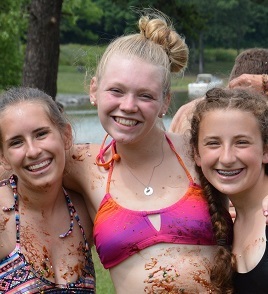 Dear SMA - At first I did not want to come to camp and I thought that it was not going to be that much fun. After just a few days, I was having an amazing time. I had a lot of new friends and was really comfortable at SMA. My faviorate activities were wakeboarding and white water rafting.